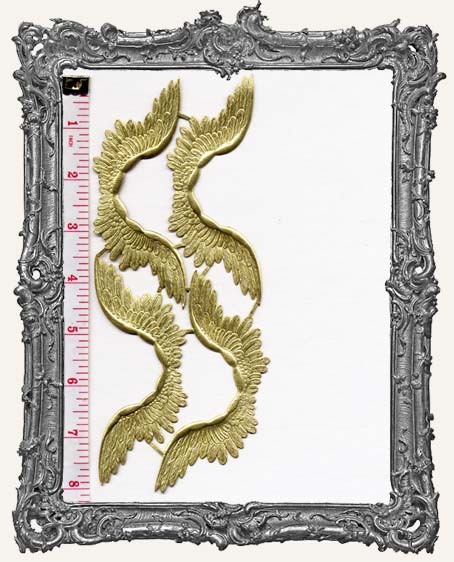 * Each gorgeous set of wings measures approximately 4.5" wide x 1.5" tall. You will get one sheet with 4 pieces. These are metallic gold on the front and on the back.